Reparations for slavery? Upending militarism and waging peace? Taking climate change seriously? Getting carbon out of the atmosphere and fossil fuel money out of the EPA? Bringing all this up—and much, much more—in a presidential race? 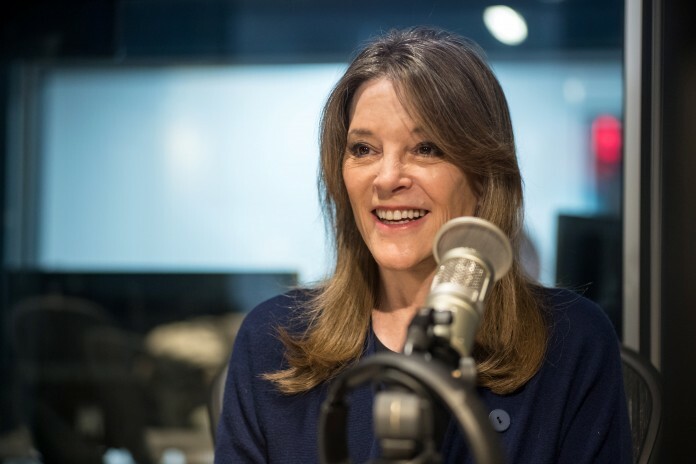 "Join with me for a year," cries Marianne Williamson, "of talking about things that matter!" Williamson, best-selling author and long-time political activist (and a friend I’ve known and respected for many years), is, indeed, running for president of the United States, bringing into her campaign a burning commitment not so much to winning as to pushing past the consensus of know-nothingism that has long dominated American politics—and certainly the Democratic Party—at the highest level.